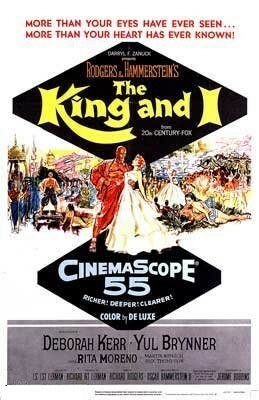 The classic 1956 film adaptation of the much loved Rodgers & Hammerstein smash hit musical. Widowed Welsh mother Anna Loenowens (Deborah Kerr) becomes a governess and English tutor to the wives and many children of the stubborn King Mongkut of Siam (Yul Brynner). Anna and the king have a clash of personalities as she works to teach the royal family about the English language, customs and etiquette. Features such classic numbers as ' Hello, Young Lovers', 'Getting to Know You', 'Shall we Dance' and many more. Come along and 'Whistle a Happy Tune'.